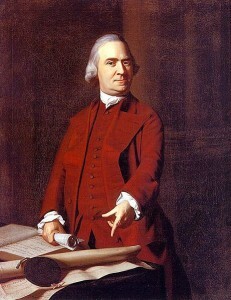 Samuel Adams is an alumnus of Boston Latin, one of America’s best public high schools. “The Best Schools” has published its ranking of the 50 best public high schools in America. And which school tops the list? It would be…Bronx High School of Science in New York, New York. Not such a shocker. Following right behind Bronx Science is Northside College Preparatory High School in Chicago, Illinois. In third is Connecticut IB Academy in East Hartford Connecticut. In fourth is Boston Latin School in Boston, Massachusetts. In fifth, Stanton College Preparatory School in Jacksonville, Florida. In sixth is the Maine School of Science and Mathematics in Limestone, Maine. Then comes Signature School in Evansville, Indiana. Next up is International Academy in Bloomfield Hills, Michigan. Then comes BASIS Scottsdale in Scottsdale, Arizona. Oxford Academy in Cypress, California follows and after Oxford is the Gatton Academy of Mathematics and Science in Kentucky, located in Bowling Green, Kentucky. The School of the Talented and Gifted in Dallas, Texas comes next followed by Jefferson County International Baccalaureate School in Irondale, Alabama. Rounding out the top fifteen are Preuss School in San Diego, California and Science Academy of South Texas in Mercedes, Texas. The ranking also happens to include famous folks who attended each of the various high schools. Did you know that Samuel Adams, Benjamin Franklin, Ralph Waldo Emerson, and John Hancock all attended Boston Latin? How ridiculous is that? When the students are learning American history, they’re learning about fellow alums from their high school. How cool. Anyhow, check out this best public schools ranking in America and let us know your thoughts! And here’s another high school ranking.